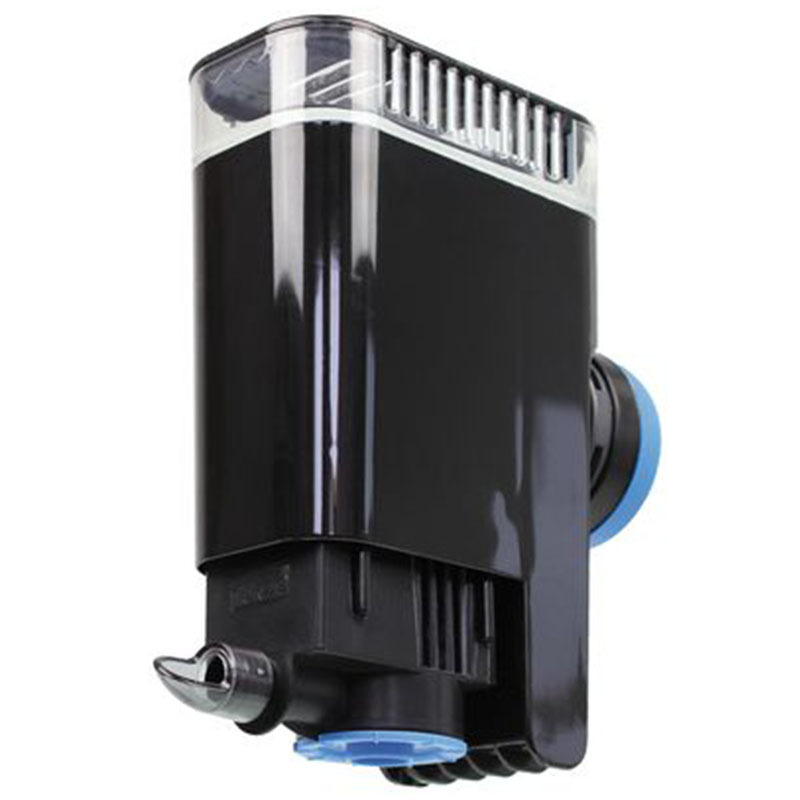 The Comline® Filter 3161 is a filter inside very compact and quiet design Comline® from two rooms, with the suction surface and the fund, developed for nano-aquariums freshwater and marine from 30 to 100 liters. It 'also only a surface filter, in particular to eliminate the bacterial film on the surface in aquariums with a certain volume, up to 1000 liters. In these aquariums are often not equipped with exhaust, the Comline® Filter 3161 can ensure a highly efficient surface cleaning, while not taking up much space. It includes a saving of energy adjustable pump Comline® 900, which can be set to a reduced flow rate for small aquariums, aquaria while for more voluminous one can opt for a higher yield. In support of Comline® Filter 3161 has a built Silence Magnet Holder for glass thickness up to 10 mm; the filter is divided by the glass thanks to buffers silicone and therefore does not transmit vibrations to the aquarium. For more voluminous aquariums you can opt for a support for glass thickness up to 15 mm (accessory available separately). The pre-chamber of the filter with about 15% of the passage of water, offers sufficient space for a nano-heater or the biological material for nano-aquariums, but also for pH or temperature probes for larger aquariums. The main room is designed to accommodate filter wool or any other type of filter material; also it contains a filter sponge and is easily removable. The Comline® Filter 3161 is ready for mounting and includes filter materials. 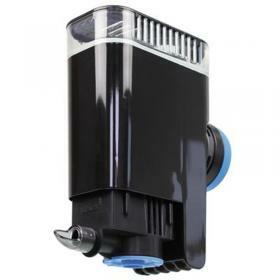 for fresh and sea water, from 30 to 100 liters depending on the load of the aquarium (filter for nano-aquariums) or up to 1000 liters (surface filter). variable pump capacity from 250 to 850 l / h.
Mounting with patented magnet holder for glass thickness up to 10 mm. anterior chamber for Nano heater, probes or biomaterial. Cross-suction (15% of the capacity of the pump) for the collection of particles in the water column. saving energy adjustable pump Comline®, with variable flow rate between 250 and 850 l / h, energy consumption 2.5-4.5 W.
main bedroom (85% of pump output) with a filtering volume of 250 cm3, can be loaded with any type of wool micro and macro dissolved, activated carbon dissolved or other filtering materials. Filter cover over the main room for a change of the filter comfortable. back cover, can be closed in case of probes or heaters.